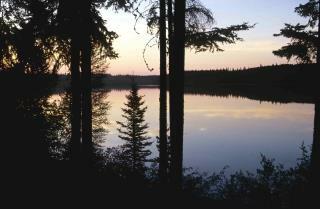 (Newser) – Canada will soon be home to the largest protected boreal, or coniferous, forest on the planet. On Tuesday, the Alberta government announced a plan for the creation of three new provincial parks bordering on Wood Buffalo National Park, as well as the creation of a fourth park to the south. The 5,200 square miles of newly protected land will balloon the conservation zone, where logging and oil and gas exploration is banned, to more than 26,000 square miles, roughly the size of West Virginia. A rep for the Nature Conservancy of Canada says the "incredible size" makes it "globally significant," per the CBC. "It's really the matrix of forest and wetlands and waters—and we can protect those at a scale that is an opportunity lost in the rest of the world," an NCC biologist adds, per the BBC. Not a really big gesture when it comes down to it. There ain't a whole lot of anything where they designated the new parks so it wasn't much of an economic or political risk.